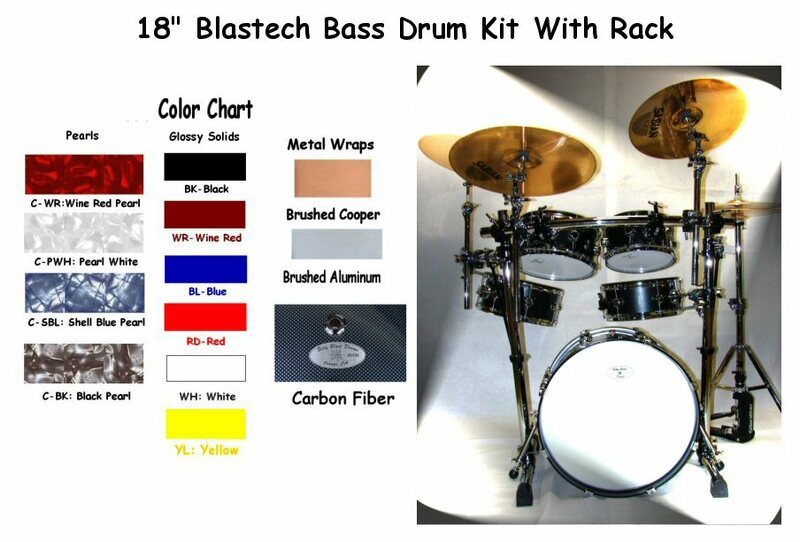 Blastech Drum Set with Rack & 18" Bass Drum. Cymbals and Cymbal Stands "NOT INCLUDED"
Custom made of 8-ply VSS Keller Maple Shells 10"X6" Tom 12"X6" Tom 14"X6" Tom. 8-ply VSS Keller Maple Shell 12"X6" Matching Snare and 18"X12" Bass Drum 8-ply VSS Keller Maple Shell with 10-ply lacquered wood hoops. Includes Blastech Steel Chrome Custom Rack, Clamps, Set of Five "Blaster" Drum Triggers and Cables. Sometimes You Want the Choice! And Now You Have It!